The Charleston, South Carolina based indie band Loner’s Society is set to release its new live EP King City Sessions next month. The five-track recording is a good introduction for those that might be less familiar with the band and just as enjoyable for those that are more familiar with its works. What’s most interesting about the band’s new release is the sound of the songs included in the recording. The songs are interesting in their own right because of their musical and emotional depth. But they don’t exactly sound like the description of the band’s sound on its official Facebook page. According to the band’s official Facebook page, the band is “comparable to Tom Petty and the Heartbreakers if The Heartbreakers had been comprised from members of: Pearl Jam, Rancid, and The Temptations.” That wording comes verbatim from the band’s Facebook page. And it’s quite a mix of influences. But as listeners will notice right from the recording’s outset, its sound is more comparable to Bob Dylan and certain classic Country Western acts than any of the acts noted on the band’s Facebook page. Where Loner’s Society does finally start to bear more of the Pearl Jam meets Rancid sound is on the recording’s fourth song, ‘Autum Breeze.’ These two songs (and the recording’s remaining trio of live tracks) make King City Sessions quite the live recording even as short as it is. Loner’s Society opens its upcoming live EP with the song ‘LaGrange.’ This song is an interesting introduction because of the throwback vibe that it conjures up among listeners. Vocalist/guitarist Matt Megrue openly states in the song in almost Lou Reed style, “And we recorded a record/Then we loaded the van/The last thing the world needed was another punk rock band/So I spent the next five years just barely getting’ by/Cause as time goes by it’s certain/That certain things’ll change/And you can spend your whole life working/Trying to stay the same/But plan on doin’ doubles till you die/At that diner in LaGrange. The line about the last thing the world needing was another punk rock band is very telling. It goes back to the previously noted difference in the sound of the songs included on this recording versus the band’s own description of its sound. This song sounds anything like a punk rock band. It’s more of a Country Western style piece interestingly enough. Even that first verse’s remaining lines line up more with old school Country Western than punk, Pearl Jam, and especially The Temptations. For all of its deep introspection, there is one funny moment in this song in which Megrue sings about things he’s seen in his life. He sings “I’ve seen marriages, divorces, babies, and divorces.” That must be one heck of a lot of divorces. Whether or not it was meant to be joking, it’s such a subtle joke that one can’t help but laugh a little bit hearing the emphasis on divorces that have been seen. That subtlety set alongside the song’s more heartfelt introspective musical and lyrical elements make it an excellent introduction for the band in every sense of the word. ‘LaGrange’ is a solid opener for the band’s new upcoming live recording. It’s just one of the recording’s most interesting of points. The recording’s penultimate performance of ‘Autumn Breeze’ is another of those high points. It is more along the lines of the band’s described sound. It starts off gently enough, but eventually picks up and bears more of an indie-folk/rock sound. Listeners can feel such emotion as Megrue sings, “I can feel that Autumn breeze/Blowing in from Tennessee/It soaks my nights in whiskey dreams/Old cruel winds just speak to me.” There’s a certain pain in Megue’s voice as he sings this verse that tugs at the heart. The song takes a more driving feel from there. Even with that more up-tempo feel, the song doesn’t lose the pained emotional state established early on in its near five-minute run time. It all makes for what is easily one of the highest of this live EP’s performances. ‘Autumn Breeze’ and ‘LaGrange’ are both great additions to King City Sessions. Regardless of whether or not audiences are familiar with these songs or the others included in this new EP, every listener will agree that they and the EP’s other trio of songs make this recording a welcome new release from the band. If the five songs contained on this EP aren’t enough for some, then fans need not worry as they’ll get their chance to hear the band live in person, too. Loner’s Society is currently scheduled to perform at the Deep South Bar in Raleigh, North Carolina this Saturday, January 18th. The performance is an 18+ show. Tickets are $5. They can be purchased online at http://www.ticketfly.com/purchase/event/428839?__utmx=-&__utmv=-&__utmk=206623635&__utmz=1.1387914625.3.3.utmcsr%3Dgoogle%7Cutmccn%3D%28organic%29%7Cutmcmd%3Dorganic%7Cutmctr%3D%28not+provided%29&__utma=1.1393594094.1385825001.1387914625.1387926374.4&__utmc=1&__utmb=1.1.10.1387926374&wrKey=28A0D047C3315AD262485FE7F569EDFE. The show is currently scheduled to begin at 6pm. 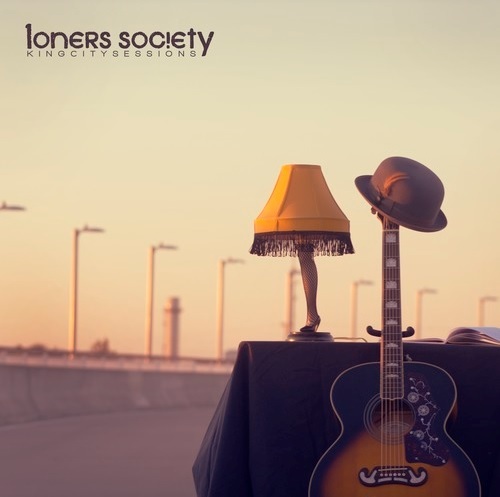 Fans of Loner’s Society can find out about all of the band’s tour updates, news and more online at http://www.lonerssociety.com, http://www.facebook.com/lonerssociety and http://twitter.com/lonerssociety. To keep up with the latest sports and entertainment reviews and news, go online to http://www.facebook.com/philspicks and “Like” it. Fans can always keep up with the latest sports and entertainment reviews and news in the Phil’s Picks blog at https://philspicks.wordpress.com. This entry was posted in Celebrities, Internet, Music and tagged Autumn + Colour, Bob Dylan, celebrities, Deep South Bar, entetainment, facebook, internet, King City Sessions, Loner's Society, Lou Reed, music, Pearl Jam, Phils Picks, Raleigh North Carolina, Rancid, The Temptations, Tom Petty, Tom Petty and the Heartbreakers, Twitter, Wordpress by philspicks. Bookmark the permalink.